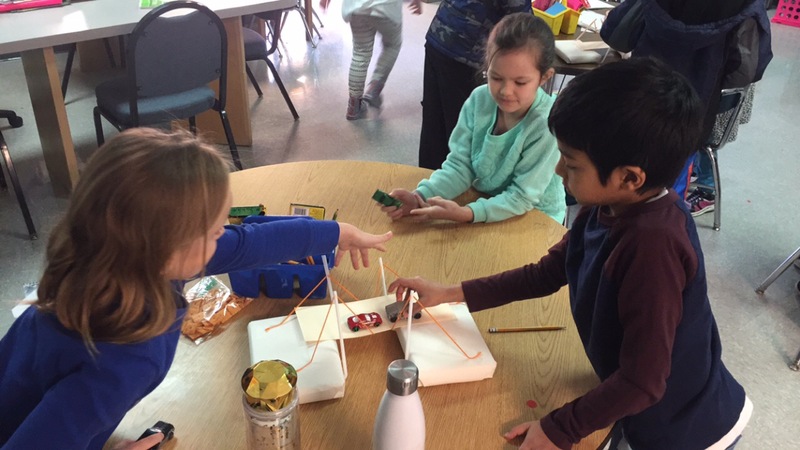 Students in 2nd grade read a non-fiction book titled Built to Last and discussed different types of bridges all over the world and the processes and importance of engineers, designers, and groups of people working together as a team to successfully build a bridge and what that entails. 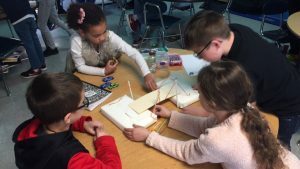 Students experimented with trusses, abutments, and other materials to build bridges. As small teams, students gathered materials and worked together to build and test a suspension bridge with cars. Students had to communicate, plan, and problem solve in order to successfully build their bridge. 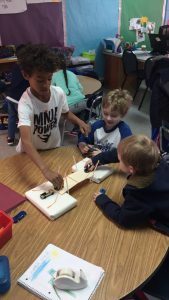 This was a hands on/team building science lesson that tied into students understanding of force and motion, weather patterns and how weather affects bridge construction, and matter .